Clinical Drug data, which includes Min Max Dosing, Diagnosis Codes, and Age and Gender data, tends to be overlooked on medical drug claims. Health Plans will primarily analyze and review coding and pricing errors because they are directly connected to pricing and their bottom line. However, clinical errors on claim forms can be just as costly. There are many reasons why it’s important to analyze diagnosis codes, age, and gender parameters. But for this blog we’re going to cover why you need to examine your reimbursement processes for Min Max Dosing. Something as simple as reviewing appropriate Minimum and Maximum dosing can result in serious cost savings. Before we dive into the reasons why you need to pay attention to Min Max Dosing, let’s talk about what it is. What is Min Max Dosing? 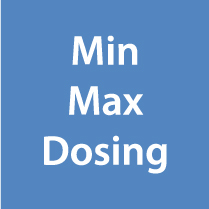 Min Max Dosing is the minimum and maximum doses for a HCPCS/CPT® drug code. It includes weight-based ranges for adults and pediatric patients in units of the HCPCS/CPT® drug code for both FDA approved indications and Compendia listed indications. Is your health plan checking Medical Drug claims to make sure that they don’t make this mistake? Read on to see why Min Max Dosing is so important. During claim adjudication, clinical edits need to be applied that consider the minimum and maximum dose. Without these edits, errors will occur for various reasons, even as simple as Package Size. When drugs can contain more than one unit, such as mL and Each(es), a lack of appropriate edits – and the correct data to support the mapping behind the heads, will result adjudication errors. At the very least, these claims may be pulled for manual processing because the units appear to be excessively high or low. Having correct data and mapping in place for the Minimum and Maximum dose values can keep claims on the correct adjudication path. Example: The Max Dose for Aristada® (aripiprazole lauroxil) is 882 mg or 882 units of J1942 (Injection, aripiprazole lauroxil, 1 mg). If a claim was submitted with 900 units of J1942, and no minimum and maximum edits were in place, the claim could potentially be overpaid by hundreds or thousands of dollars depending on the size of the error! You need to ensure that you are not missing any ranges by using an expanded Minimum and Maximum range for your medical drug claims. According to a study published in JAMA Internal Medicine, approximately 20% of all prescribed medications were for an off-label use. To avoid overpayment on a claim, it is important to be sure the claim edits are utilizing the correct Minimum and Maximum data for indications listed as off-label. Example: Avastin® (bevacizumab) is commonly used off-label for macular degeneration. The dose for macular degeneration is much lower than the FDA approved chemotherapy indications. By classifying the lower dose in the Compendia range, you can flag a claim for review by potentially identifying incorrect units if the claim was for an off-label use. To avoid incorrect or manual reprocessing of claims; first, be sure that the claims edits are taking into account correct unit sizes and labels. Second, confirm that the dosing ranges are appropriate to the expanded weight ranges. And third, verify that the off-label uses are accounted for as well. To see Min Max Dosing in action, sign up for a free trial of the industry’s leading resource for Medical Drug data ReimbursementCodes.com. This entry was posted in Educational Resources, Industry Insights, Product Updates and tagged Min Max Dosing. 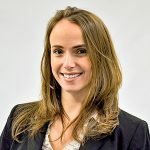 Jessica is responsible for the integrity of the data on ReimbursementCodes.com and in our data files. She also specializes in the creation and maintenance of our clinical datasets.